IOWater, as an independent organization, is very active at European level by organizing, coordinating and participating in numerous projects funded by the European Commission. These projects mainly focus on the implementation of all the European Water Directives (framework directive, daughter directives, flood directive, drinking water, wastewater directives...) and aim to support the various stakeholders in the field of water, be they institutional, administrative, decision-making ones or directly involved in the field, at all levels of management of this resource. Many guidance documents for Member States were produced, with different approaches: legal, technical, socioeconomic, scientific, administrative, etc. IWRM net (FP6 ERA-Net, 2006-2010), which allowed centralizing and coordinating research efforts related to integrated water resource management, through the creation of a European network: The European Water Community. Due to the success of this project, the French Ministry for the Environment commissioned IOWater to coordinate the IWRM SCP - Scientific Coordination Project (MEDDE, 2009-2014), to ensure the continuity of the administrative and scientific follow-up of the 6 research projects funded by IWRM-Net, following a second call for projects. IOWater has thus been able to create synergies between these 6 projects and has also ensured the dissemination of their results. Water Diss (FP7, 2010-2013) and Water RtoM (Life Environment, 2010-2013), which focused on the issue of inertia in transferring research results to decision makers in the field of water to be integrated into public policy. Strategies to accelerate this transfer were developed and IOWater is still actively working today on this theme of the SPI: Science-Policy Interface. Water PIPP (FP7, 2013-2016), whose aim was to facilitate the transfer of innovation in the water sector by allowing it to be taken into account in public procurement. A practical guide for the implementation of the procedures for Public Innovation Procurement has thus been developed. IOWater has developed many skills and recognized know-how in the conduct of these multi-partner projects. IOWater is building a European but also international network for creating multidisciplinary and multi-partner teams. This growing network of varied organizations (NGOs, consulting firms, universities, ministries, basin organizations, etc.) and its experience in the management of European projects have enabled IOWater to be recognized as a reference in terms of multi-partner action on innovation and knowledge transfer and on the mobilization of all water stakeholders. These skills are used on very varied themes according to the needs of the Member States, in connection with the current challenges related to water, in a context of necessary adaptation to climate change. 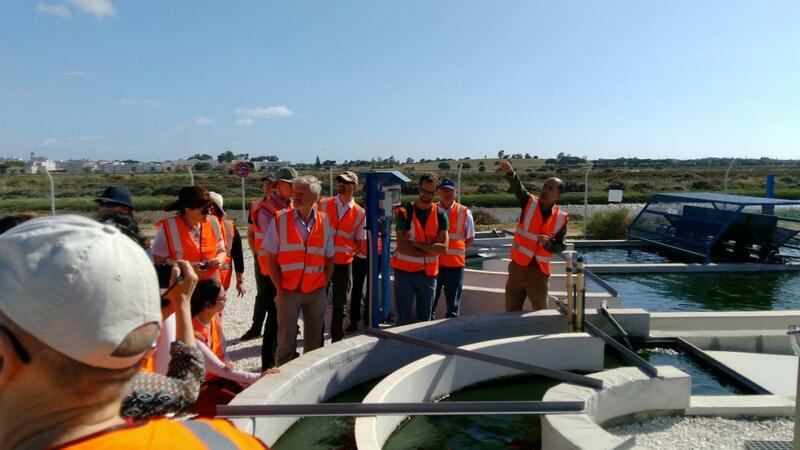 INCOVER (H2020, 2017-2020), which is part of a logic of circular economy, a topic in which IOWater is increasingly invested, with the in-situ testing of innovative technologies for wastewater treatment (Re-Use). Finally, IOWater benefits from its strong presence on the international scene to accompany, under European funded projects, Non-European countries in the management of their water resources in an uncertain climate. One example is the AfriAlliance project (funding by H2020, 2016-2021) in which IOWater is involved.